PARIS (UrduPoint News / Sputnik - 16th April, 2019) The United Nations Educational, Scientific and Cultural Organization (UNESCO) is prepared to dispatch an emergency expert mission to Paris to assess the damage suffered by the monumental Gothic cathedral Notre Dame in Paris as a result of a severe fire, the agency's director-general, Audrey Azoulay, said on Tuesday. "UNESCO stands by France in safeguarding and rehabilitating this invaluable heritage. We are already in contact with experts and ready to send an emergency mission to assess the damage, preserve what can be preserved and plan short and medium-term measures," Azoulay said in a statement, published on UNESCO's official website. The damage assessment will be performed with the participation of French authorities at all levels, according to the statement. "The assessment will be carried out with the authorities concerned, including national and local authorities, site management and Church authorities, in order to develop a plan of action, avoid further deterioration of the site and recover as many original elements as possible. UNESCO will then accompany and support the authorities in their rehabilitation," the organization added. 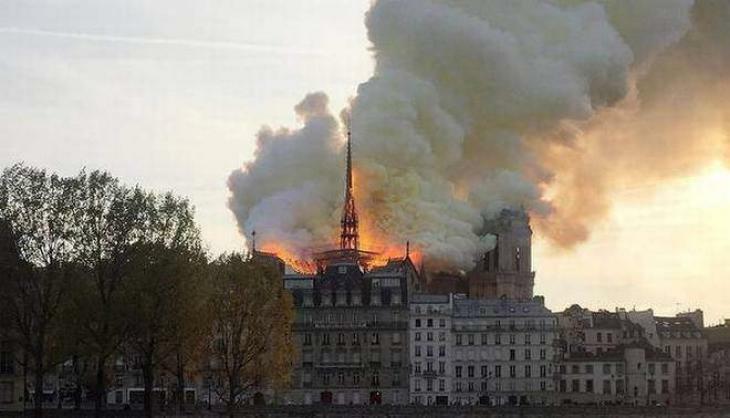 The fire at the cathedral, which is one of UNESCO's World Heritage Sites, broke out at around 7 p.m. local time (17:00 GMT) on Monday and had been devouring the 850-year-old building for hours before it was finally taken under control. Notre-Dame's iconic lead-covered oak spire was eaten through by the flames and eventually collapsed onto the cathedral. Most of the wooden roof is now gone as well. The Medieval monument, which has long been one of the most recognizable symbols of France and a popular tourist spot, has been left devastated by fire after surviving two world wars and several revolutions.